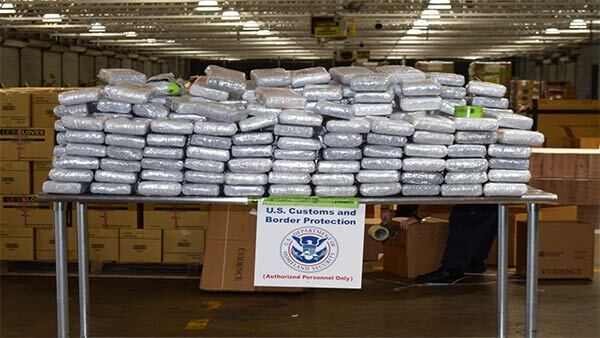 PHILADELPHIA (WPVI) -- U.S. Customs and Border Protection (CBP) officers from the Area Port of Philadelphia recently seized the largest local cocaine load in 10 years when they discovered more than 700 pounds concealed inside cabinets that were shipped from Puerto Rico. Officers said there they emptied the contents of the container and discovered false walls in numerous pieces of bedroom furniture and kitchen cabinets. They said the false compartments concealed 256 bricks of a white powdery substance that field tested positive for cocaine.